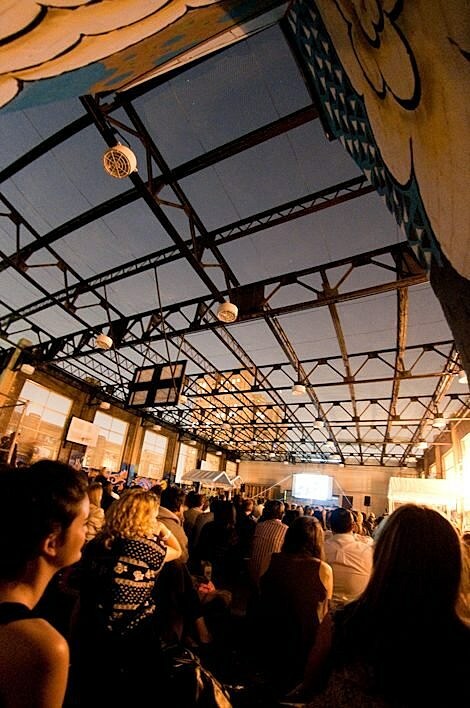 Rooftop Films is off and running with its summer series. But that’s hardly the only outdoor movie series in NYC, though it might be the only one that costs money. 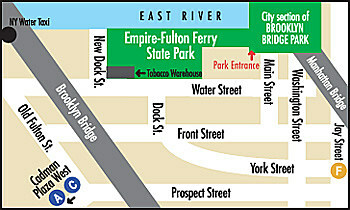 Hudson River Park’s Take Me to the River ’09 will present RiverFlicks, which shows movies for “adults” on Wednesdays starting on July 8th and films for kids on Fridays starting July 10th. That film series accompanies the park’s RiverRocks shows. Bands appearing at RiverRocks include Yeasayer, Ted Leo, Matt & Kim, Radio 4 and Extra Golden. The SummerScreen series, which ran last year in McCarren Park Pool, returns this year, but in the McCarren Park ball fields. Those films run Wednesdays starting July 8th. Movies include Fame, Reality Bites, and Evil Dead 2. Bryant Park Summer Film Festival screens films on Mondays starting June 15th. Brooklyn Bridge Park’s Movies With A View series kicks off July 9th and runs every Thursday through August. Brooklyn Bridge Park’s Movies With A View returns for its 10th Anniversary Season on Thursday, July 9, 2009. This summer, sidle up, nab a patch of grass and walk off with a night of fabulous entertainment without paying one red cent. Come down to the park to enjoy one of the city’s premiere outdoor film series with an eclectic line-up of films and breathtaking views of the NYC waterfront. The films are chosen by an all-volunteer Film Committee and each feature is preceded by a short film. DJs from Brooklyn Radio kick off the evening, spinning tunes as the sun sets, while RICE sells delicious dinners onsite. Complimentary bike valet provided by the fine folks at Transportation Alternatives. Welcome to Stolen Summer, the season of capers, thrillers and heists! 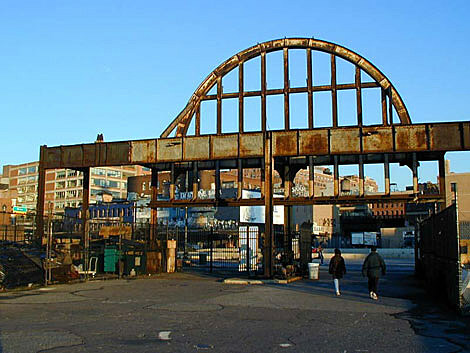 Pier 54 at 14th St. Subway: A,C,E,L at W.14th St.. Nearest restrooms: Portalets provided during events. Pier 46 at Charles St.
Movies begin at dusk (generally around 8:30pm.) Free popcorn. Beverages and Snacks are for sale. Join us at Hudson River Park’s Pier 46 as we screen new and classic films for the whole family! Subway: 1 at Christopher St. The lawn opens at 5:00pm for blankets (no plastic tarps please) and picnicking. The films begin at dusk (typically between 8pm and 9pm). 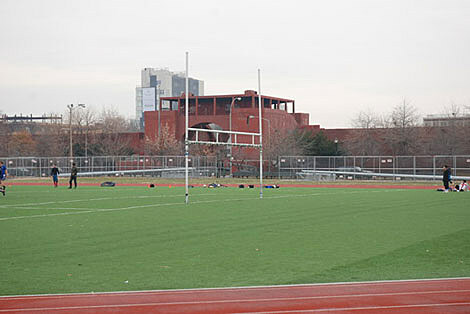 This year, SummerScreen will take place at the ball fields at McCarren Park on the corner of Bedford and North 12th. Opening night is Wednesday July 8, 2009, continuing through August for six consecutive Wednesdays. The series is a perfect way to spend a sultry summer evening. Last year, more than 30,000 people attended SummerScreen. Films begin at dusk. Come early to get a seat. Food and beverages will be available to buy at the site. No outside food or drink. Sorry, no dogs allowed at the event space. 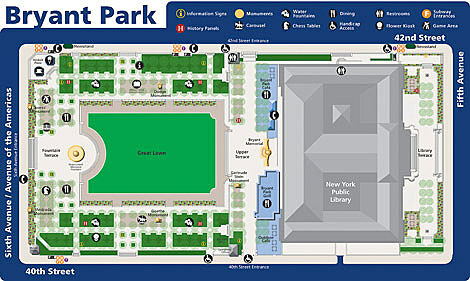 Directions: The McCarren Park ball field is located in Williamsburg at the corner of Bedford and North 12th. Take the G train to Nassau or the L train to Bedford.